Handwriting without tears is really a multi purpose program where it depends on the individual what you will get out of it. 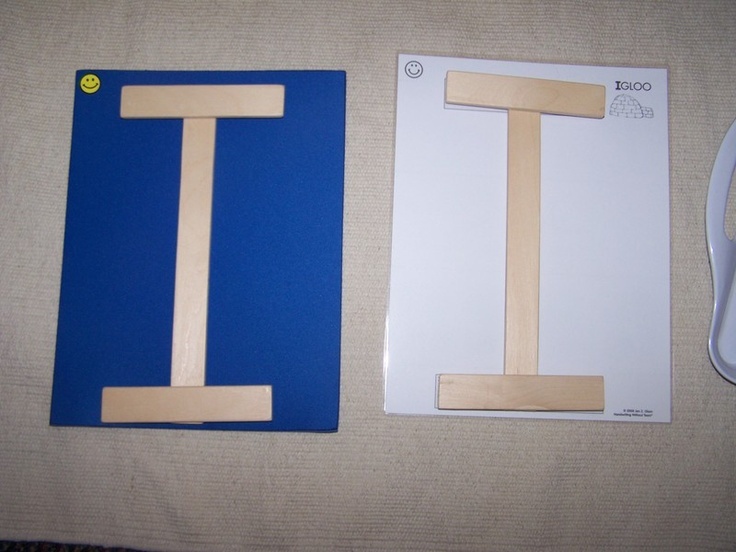 I am only aware of HWT teaching capitals although I have seen wooden sets for lowercase letters & have heard people say they exist, I cannot find it on the handwriting without tears site. 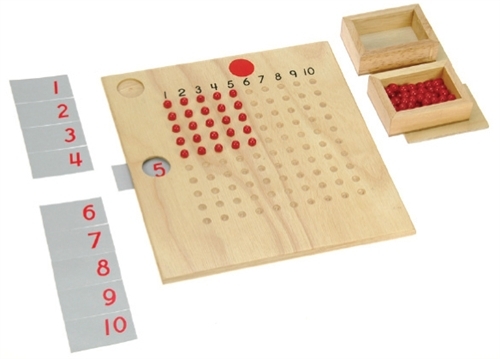 One of their main manipulatives is their wooden pieces used to build the capital letters of the alphabet. The kids learn with the auditory sense, the name of the parts, big curve, little curve, big line, little line…and the shape of of those things with the visual sense by playing various games where the shapes are mentioned & asked for retrieval. 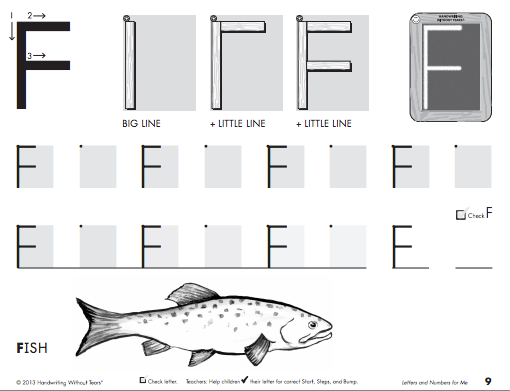 The names are initially learned through play, such as with the music cd that plays the mat man song, a vehicle that helps the children gain interest and learn the parts of the letters they need to know so that their teacher can dictate the movements verbally and the child can achieve writing on their own by remembering the dictated movements. Beginning with song and creating map man of pieces (wooden pieces) and then moving on to drawing him, the kids learn the beginnings of writing motion & it’s part. Remembering it’s with capital print. 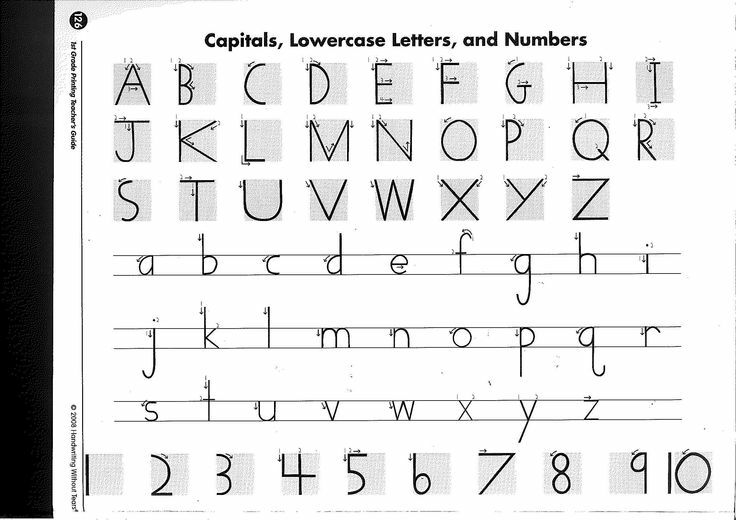 However, their workbooks are wonderful including capitals & lowecase letters & also cursive writing. 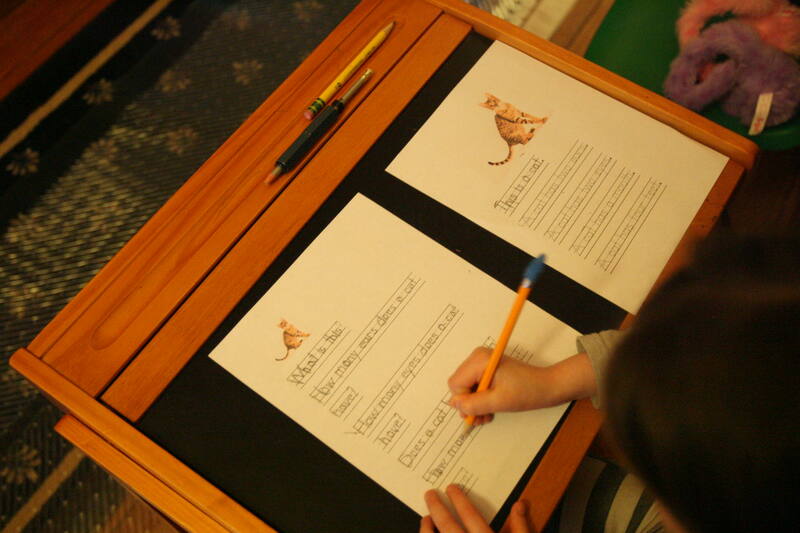 The slate boards provided with the kit help the child frame out a letter to see where to write it as well as their box letter paper that makes it fun & easy for kids to write out words & sentences in a line. 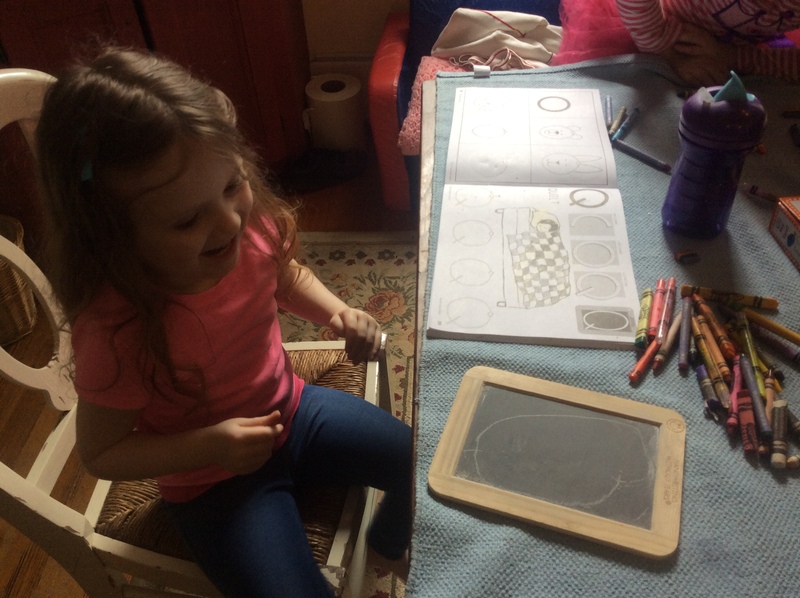 We use their double lined chalkboard during most of our lsnguage lessons as the lines are easy to write on and are similar to the mats we build our moveable alphabet words on. Their kit and workbooks can be purchased at http://www.hwtears.com/hwt.